Show stopping wedding stationery for your special occasion, that is uniquely tailored around you and your special day! 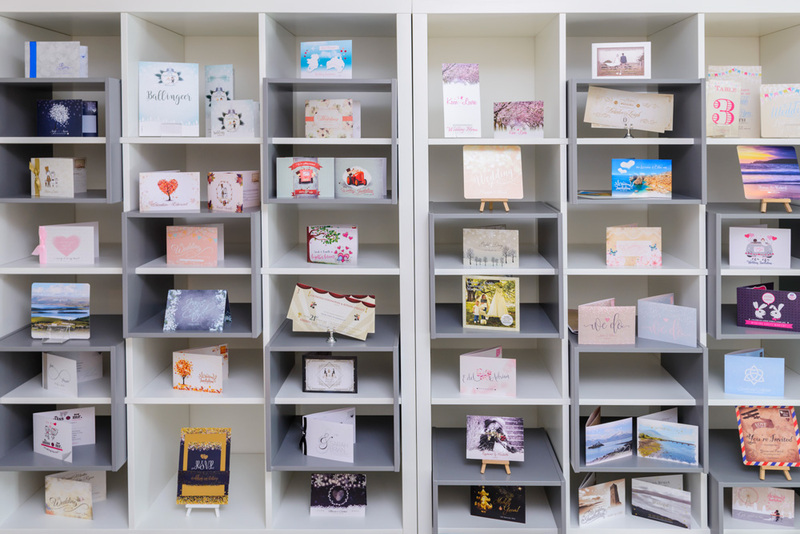 If you have some time, drop in to Ireland’s first Wedding Stationery Boutique, The Invite Hub. We are located at 38 New Street, Killarney, County Kerry. We are open Monday to Friday from 9.00am to 5.00pm and by appointment on Saturdays. Call Sinead on 064 66 76 100 or e-mail sinead@theinvitehub.com to make an appointment. We offer a collection of custom wedding stationery designs to choose from as well as a bespoke wedding invitation design service, allowing you the ultimate flexibility to find and create something you truly love. We also provide Christening Invitations, Baby Cards, Hen Party Printing, Selfie Frame Prints, Birthday Invitations, Guest Books, Event Invitations, Thumbprint Signs, Wedding Day Signs and much more. We have hundreds of wedding invitations on display in our Showroom in Killarney from vintage to humour and landscape to character themed. Book an appointment and sit down with Sinead to discuss your wedding theme and pick best wedding invitation design for you.